Contamination is always a concern in scientific research, but the new ruling on DNA-collection has both analysts and the general public abuzz with unanswered worries. With DNA-collection now allowed at time of arrests the number of samples collected will skyrocket. Researchers voice concern that with such a large number of samples the possibility for contamination increases exponentially. Other concerns such as ease of contamination during collection or storage have brought the process under needed scrutiny. Scientists urge the government to take extreme caution by setting strict guidelines for DNA-collection and processing to ensure protection of the samples and the individuals concerned. While scientists worry how to protect the samples’ purity, individuals argue over Fourth Amendment rights. 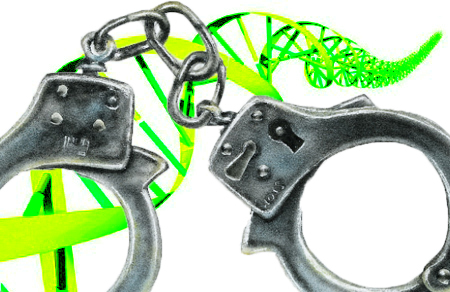 Voices also give warning that the classification of DNA-collection as equivalent to fingerprinting is misguided and DNA results should be treated as a piece of confidential evidence, not be abused or used lightly. There is obviously an increased need for the establishment of processes to accurately account and document DNA-samples and results. Researcher Greg Hampikian of Boise State University has recently developed a way to us nullomers as a sort of DNA bar code. These smallest of DNA sequences can be used to permanently mark samples to prevent contamination. Whether new inventions such as this will be used in the standardization of DNA-processing or not is still to be seen. As with most testing, human error is an element that must be taken into serious consideration. Contamination can easily occur in any laboratory setting by negligent actions as simple as touching multiple samples without changing gloves. As the outcomes of these particular tests will play a part in deciding the innocence of individuals accused of crimes, it is even more necessary for us to take measures to be taken to minimize the possibility of mistrial through use of contaminated evidence.